Vietnam first emerged as a significant issue in the campaign after LBJ’s “deeply dangerous game” speech at UCLA (Feb. 23). Its importance intensified with Lodge’s emergence as a viable candidate in New Hampshire. This clip with Defense Secretary McNamara, from March 2, combined the two elements. President Johnson: Do you think it’s a mistake to explain what I’m saying now about Vietnam, and what we’re faced with? Robert McNamara: Well, I do think, Mr. President, that it would be wise for you to say as little as possible. President Johnson: Well, then why don’t we take some pretty offensive steps pretty quickly, then? Why don’t we commend Khanh on his operation and try to prop him up? Why don’t we raise the salary of their soldiers to improve that morale, instead of waiting a long time? Why don’t we do some of these things that are inclined to bolster ‘em? President Johnson: I sure as hell don’t want to get in the position of Lodge recommending to me—the one thing he recommended is “please give us a little more pay for our soldiers,” and we turned him down. McNamara: Oh, no, we’ve done that, sir. President Johnson: We haven’t acted. We said we’re going to wait till you go out there [to Vietnam]. McNamara: Well, no. He knows there’s money for that. There’s no problem on that issue. President Johnson: Well, then, why don’t we clear it up, so that we get him answered? Now, I think that politically—I’m not a military strategist—but I think that as long as we’ve got him [Lodge] there, and he makes recommendations, and we act on them, particularly if we act favorably, we’re not in too bad a condition politically. But I think when he wires us and says, “The only damn thing I want you to do is to give ‘em an increase in pay because morale’s terrible,” and we say, “Well, wait,” then if something happens in between, I think we are caught with our britches down. 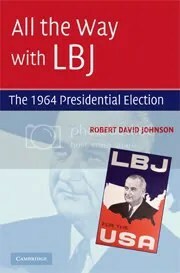 By mid-April, after Lodge’s New Hampshire win and lead in national polls, Johnson had all but turned over the short-term framing of Vietnam policy to Lodge, as he explained to National Security Advisor McGeorge Bundy. President Johnson: My judgment, Mac, is Lodge is coming back. He’ll probably be back in June. Bundy: He’s going to have differences with us, and it’s going to be on this area [escalating the U.S. military involvement], I’m sure. There’s no other. President Johnson: And I’m not going to let him have any differences. Bundy: Because that’s what—we’ve got to be doing what he’s recommending. President Johnson: —and tell him that Johnson’s not going to have any differences with Lodge. He’s going to have to run and catch me before he does. [Bundy cackles.] I’m going to approve every damn thing he does. President Johnson: That’s my strategy. The Tonkin Gulf Resolution effectively neutralized Vietnam as an issue in the campaign. But the day of the vote, the President expressed his displeasure with the two senators (Wayne Morse and Ernest Gruening) who voted no, along with Texas Republican congressman Ed Foreman, who criticized Johnson’s premature announcement of the retaliatory raids. President Johnson: That was a good vote you had today. Speaker McCormack: Yes, it was very good. 414 to nothing; one present. What’d the Senate do? President Johnson: 88 to 2. Morse and Gruening. McCormack: I don’t understand Gruening. President Johnson: Oh, he’s no good. He’s worse than Morse. He’s just no good. I’ve spent millions on him up in Alaska [in reconstruction funds after the March 1964 Alaska earthquake]. He’s just no good. And Morse is just as undependable and erratic as he can be. McCormack: I know that. But I can’t understand the other fellow. President Johnson: Say, I wanted to point out this little shitass [Ed] Foreman today got up and said that we [Johnson] acted impulsively by announcing that we had an answer on the way [to the Tonkin Gulf incidents] before the planes dropped their bombs. President Johnson: It’s just a pure lie, and smokescreen. McCormack: But he was booed two or three times. Tremendous booing on the Democratic side. He was—everybody knew he was just cheap and mean and contemptible. Well, you know what he is. President Johnson: Yeah. Yeah, he’s no good.